Based in Copthorne, West Sussex, PCB Cleaning provides a comprehensive range of carpet, rug, upholstery, curtain and leather cleaning services in Crawley, East Grinstead, Horley, Horsham, Lingfield, Reigate and all surrounding areas. My name is Paul Brennan and since 2001 I have been providing a local, independent carpet and upholstery cleaning service. Because I carry out all the cleaning myself, I am able to offer competitive prices whilst ensuring that you receive the very best service at all times. Fitting things in around a busy schedule can be difficult at times, so to make life that bit easier I provide a weekend and evening service at no extra charge. 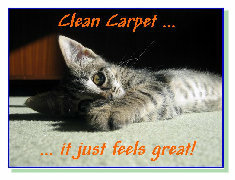 Why not take advantage of one of the very special offers on carpet, upholstery and curtain cleaning currently available? Have 3 rooms of carpet cleaned and I will clean the smallest room for free. On this site you will find information about the services I provide, answers to some frequently asked questions, some basic cleaning tips and details of any current offers that are available. Ardingly, Ashurst Wood, Balcombe, Copthorne, Crawley, Crawley Down, East Grinstead, Felbridge, Forest Row, Godstone, Haywards Heath, Horsham, Horley, Lingfield, Oxted, Pease Pottage, Pound Hill, Roffey, Smallfield, Salfords, Worth and surrounding villages in West Sussex, East Sussex and Surrey. RH18 & RH19 postcode areas. As an independent business I carry out the work myself rather than sending hired help into your home. I will always arrive on time or I will let you know. The cleaning solutions I use are environmentally friendly. I will give you a free quote if you require, at your home or business. The price I quote is the price you pay - with no hidden extras. I will choose the best process for the cleaning of your items.